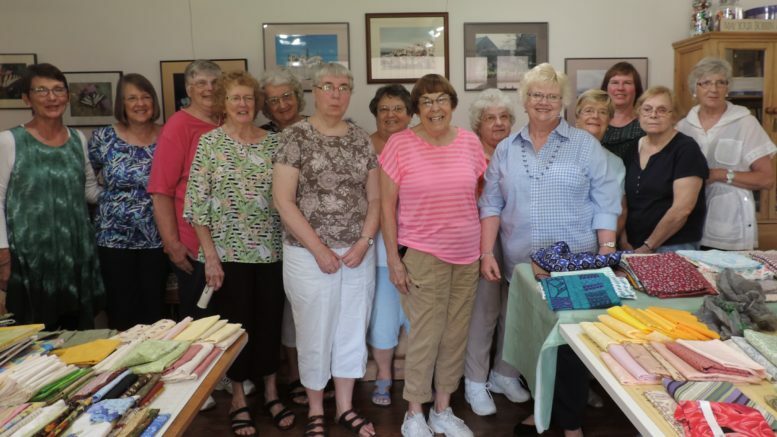 Briggs’ home is a gathering place for the Caring Quilters Project, a group of about 20 crafters from Broome and Tioga counties, and who meet ten times a year to show off their work to each other and then prepare it to be donated to local organizations. 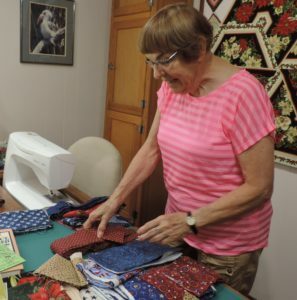 In addition, quilts are also made by approximately seven individuals from Temple Israel in Vestal. The group celebrated a remarkable milestone at their Sept. 4 meeting, where it was announced that they surpassed 10,000 homemade quilts and crocheted blankets. Since 2004, the community project has distributed 10,070 lovingly made gems to more than 60 organizations in Broome and Tioga Counties that have benefited from their lap-sized quilts, crocheted blankets and other one-of-a-kind creations. When the Owego Pennysaver met up with the group in 2014 at their tenth year of giving, the number was 6,700. 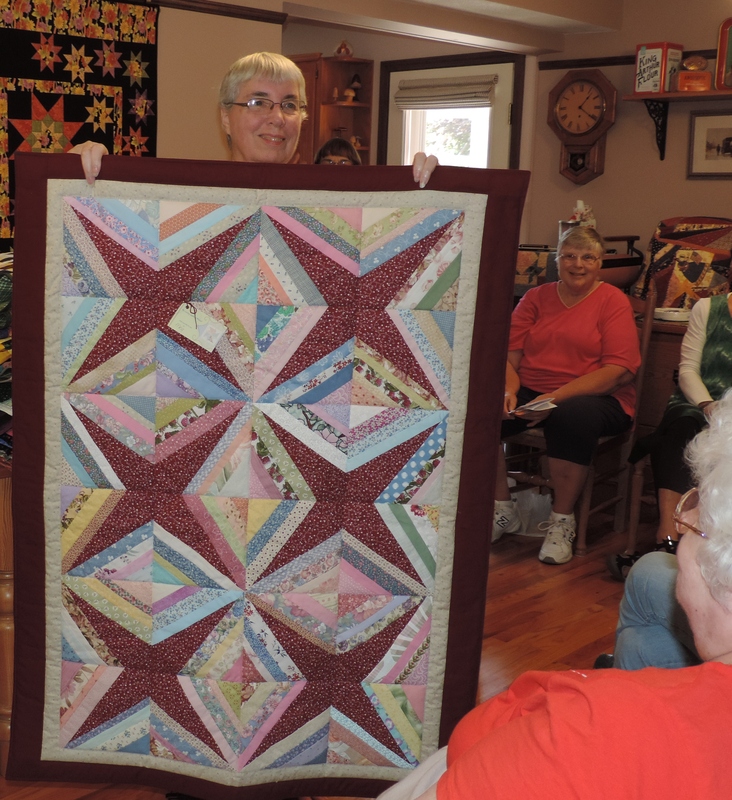 This year marks the start of the 15th year for the Caring Quilters Project. Originated by Susan Hampp, Marilyn Truex, Bev Allen and Peggy Bissonette, Hampp explained that the inspiration came from one simple request. The group shared that a homemade quilt or blanket provides a sense of comfort to individuals experiencing illness, tragedy or life struggles. Quilts, walker bags, knitted caps, breast care pillows, and colorful teddy bears known as “Caring Cuddlers,” along with countless other items have been donated. A Caring Cuddler, Hampp said, is often given to a child who is being transported by ambulance to a hospital. There are no real rules or set patterns for the quilts, and it is all left to the imagination and inspiration of the crafter. Hampp explained that one of her favorite creations is called a scrappy quilt or crazy quilt, which is a combination of smaller pieces of colorful material, and oftentimes used in making children’s quilts. The satisfaction of giving away their handcrafted comfort items to the community, however, is their greatest reward, and the group hopes that the recipients’ spirits are lifted and that they are left feeling cared about. Monetary and material donations for the Caring Quilters Project are gladly accepted, and new volunteers are always welcome. Call Susan Hampp, (607) 785-4690 or Marilyn Truex, (607) 748-3133 for information or to arrange a donation. 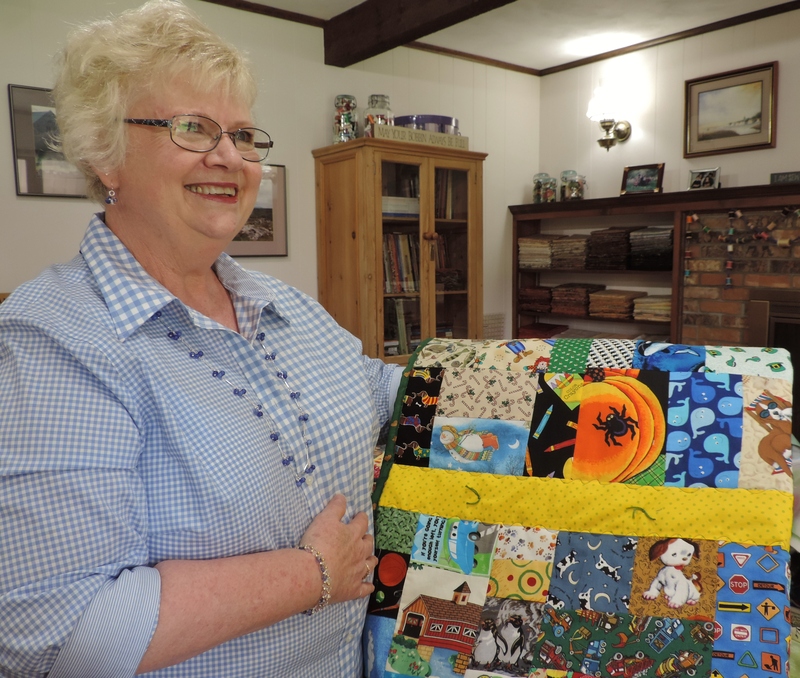 Be the first to comment on "Caring Quilters Project reaches remarkable milestone"